We are often asked by companies on our community to think of new ways they can improve their ranking and for tools to showcase their merits on the platform on their own channels. Up until now, there has been some basic AppFutura badges available for our users. We have now launched specific badges to showcase the different areas where you stand out as a featured member of our platform. Besides the evident promotional value for your company, we want these badges to also have an impact in your ranking. These badges can be used in any section of your website, from your footer to a blog post showcasing your achievements. 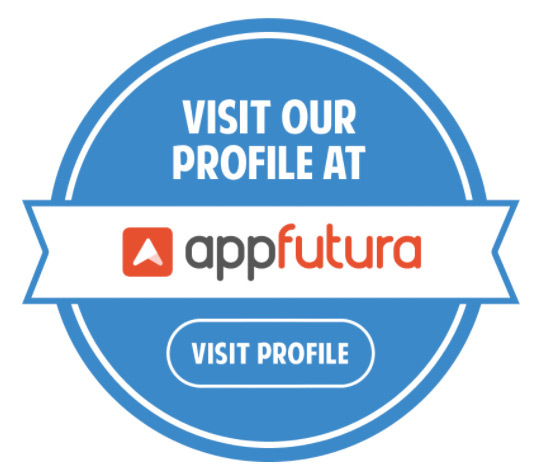 Make sure to notify the AppFutura team when you showcase one of our badges to make sure your ranking is improved. 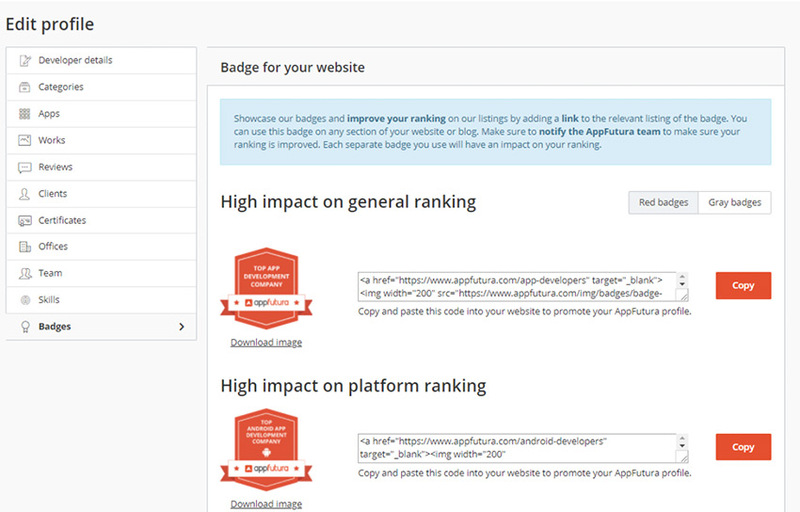 In order to achieve the desired impact on your ranking, badges must include a link to the relevant section they showcase. Each separate badge you use will have an impact on your ranking. There are essentially 4 types of badges. 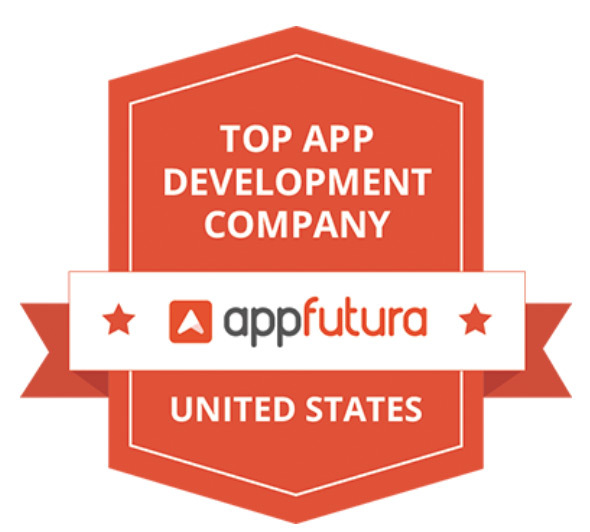 Generic top app development companies badge, linking to our worldwide listing. This will have a high impact on the general ranking. 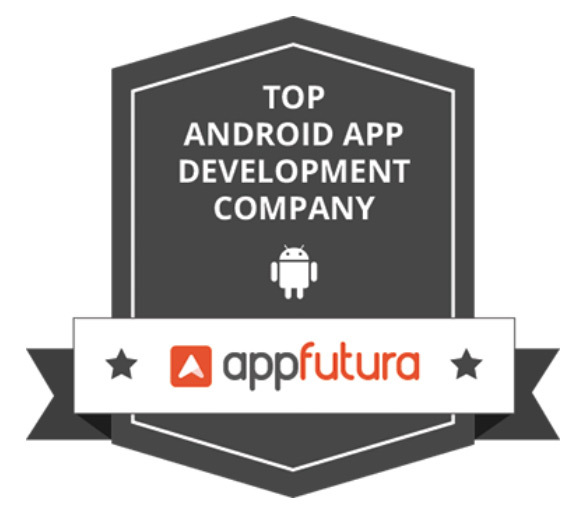 Top app development companies in specific platforms badge, linking to the specific platform listing. This will have a high impact on the platform ranking. 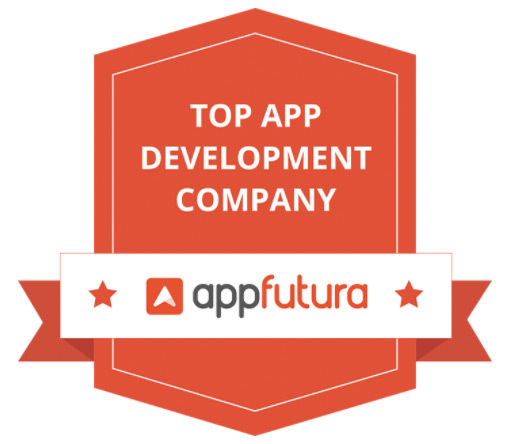 Top app development companies by location badge, linking to the specific location listing. This will have a medium impact on the general ranking. Basic badges to promote your profile. This will have a low impact on the general ranking. You can find all badges available for your company on the badge section of your dashboard, within the Edit page. Each company will have a different number and type of badges available, depending on their activity and profile. Take a look to see what badges have been activated for your company as per your merits. The impact on our ranking won't be immediate. We will give companies like yours a couple of weeks to set up the badges they want before activating their weight in the ranking. If you start using the badges, let us know right away so we can consider them when the ranking is updated.